With two fine restaurants, several informal eateries and an array of bars, Emerald Estates offers a dining experience to suit everyone. Sip a specialty martini in Kelly’s Bar, savor exquisite French cuisine at La Cordeliere, swim-up to the Aquabar for a refreshing tropical drink – even have lunch served to you on our secluded private beach. Among Mazatlán’s most delightful dining experiences, La Cordeliere serves exquisite French and international cuisine, as well as festive themed buffets. Dine in a casually elegant setting with spectacular ocean views or enjoy your meal al fresco on the shaded terrace. Live music on Friday and Saturday evenings and Champagne Sunday Brunch are highlights. Swing by The Bistro for an enticing experience of international cuisine, from fresh sushi at the sushi bar to mouthwatering gourmet pizzas. Trendy and modern, this popular eatery serves a fusion of world cuisine and fine wine on a beautiful outdoor waterfront terrace. 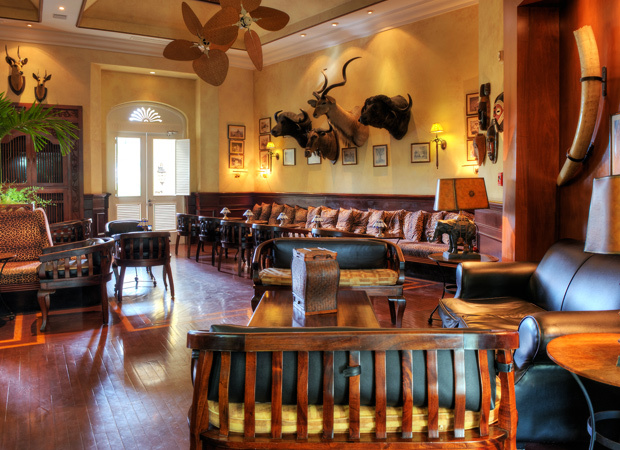 With an exotic décor of fine woods and handcrafted accessories, Kelly’s Bar is elegant bar reminiscent of a bygone era. 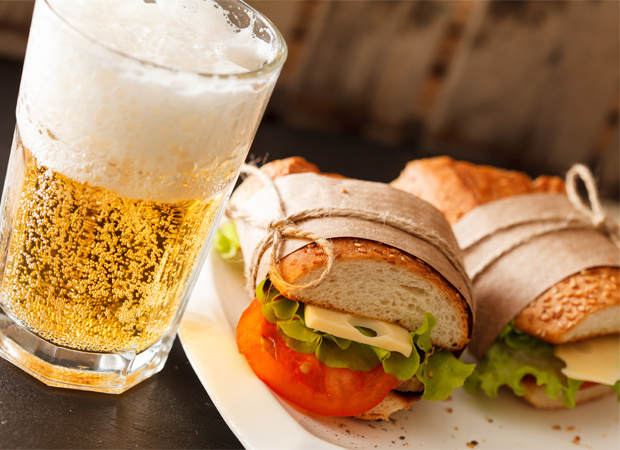 There is an extensive menu of special martinis and fine tequilas, wine and spirits, as well as hors d’oeuvres and options for light lunches. 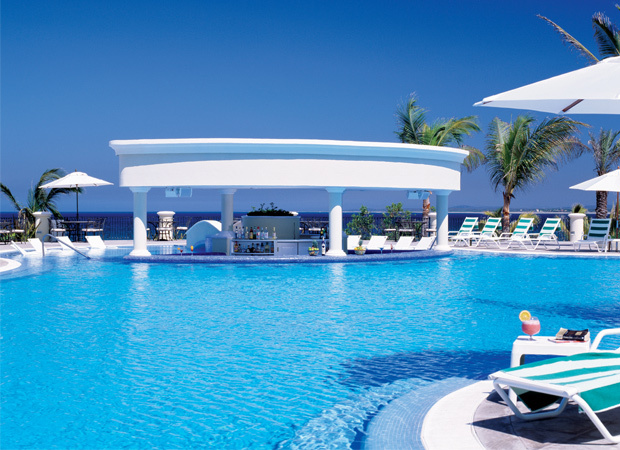 Swim up to this bar located in the pool by the Sunset Grill. 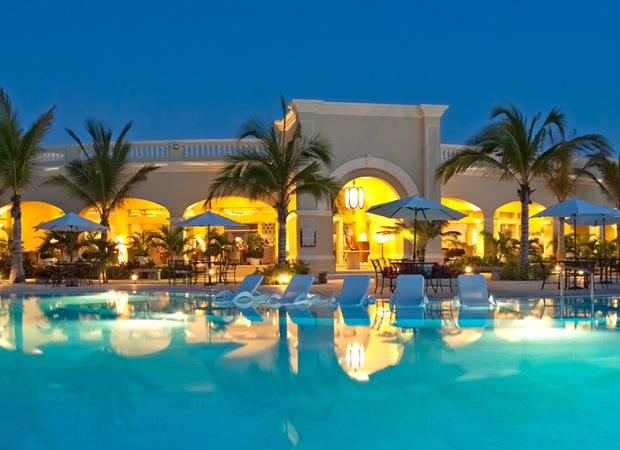 Enjoy a variety of cocktails, sandwiches and snacks as you bathe in the Mexican sun. Located by the main pool, the Sunset Grill serves exquisite Mexican and international cuisine all day in a casual setting. 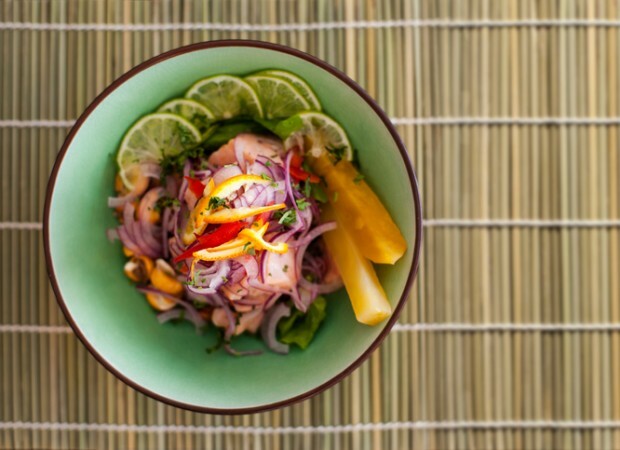 Enjoy fresh ceviche, enchiladas, tostadas, fresh green salads and more. 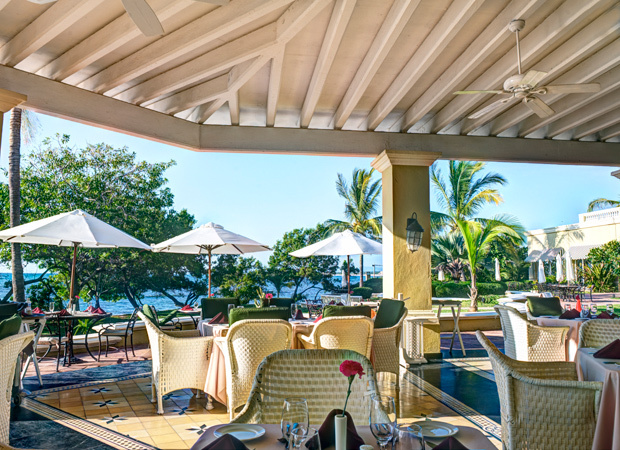 Enjoy fresh seafood and international cuisine for lunch or dinner in a beautiful oceanfront setting overlooking the beach at our sister resort, Pueblo Bonito Mazatlán. Terrace-style seating with al fresco dining provides a romantic setting in which to enjoy a delicious meal and quiet conversation. Savor delicious Northern Italian and international cuisine in an elegant setting at Angelo's, located in our sister resort, Pueblo Bonito Mazatlán. Enjoy romantic piano music and one of Mazatlán's most popular singers. 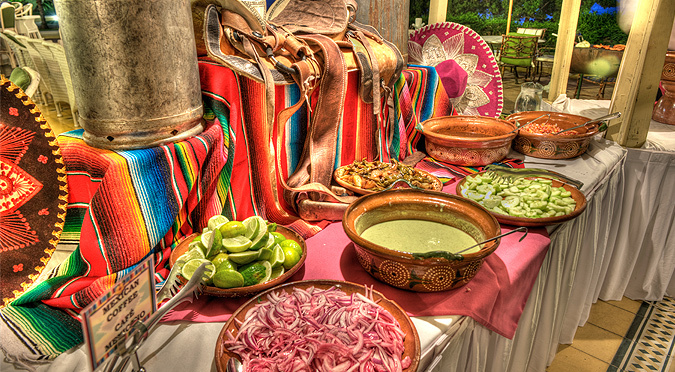 Offering a delicious menu of traditional Mexican dishes, fine international cuisine, a delicious regional breakfast buffet, as well as an a la carte menu, Las Palomas at Pueblo Bonito Mazatlán has seating indoors and on a beautiful outdoor terrace.